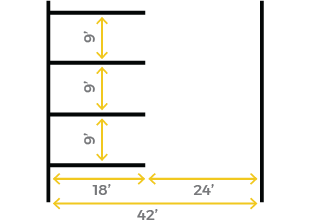 Parking Lot Striping, also known as Traffic Markings, provides organized traffic flow and clearly marked parking stalls and areas for vehicles to park. 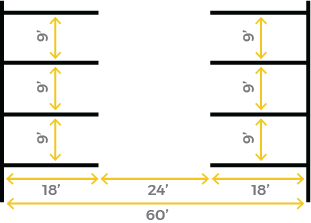 An effective parking striping layout consists of bright, durable line striping for stalls, arrows for entrances and exits, arrows for directional flow on parking lots, handicap parking spaces, clearly marked fire lane areas and more. 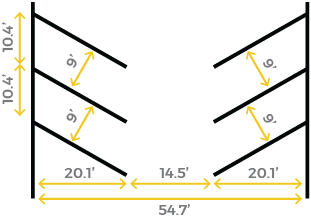 Parking lot striping is typically performed by professional line striping contractors. 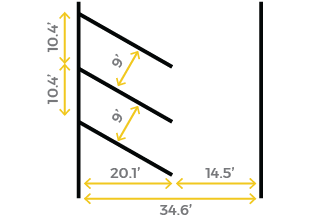 Water-based acrylic traffic paints are the most common type of line striping paints used today. There are several types of traffic paints available for parking lot line striping including water-based acrylics, solvent based alkyd resin paints, solvent based chlorinated rubber and many more. 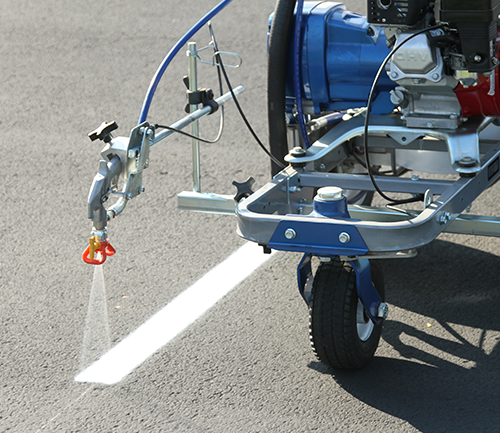 By far the most common paint used for parking lot striping is water based acrylic. 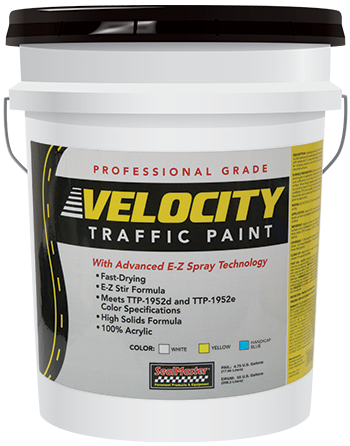 Water-based acrylic line striping paints provide excellent durability, high brightness and visibility, and are environmentally friendly. For these reasons, water-based acrylics are the paint of choice for most parking lots as well as roads and highways. SealMaster offers a full line of premium quality traffic paints for parking lots, roads and highway applications. 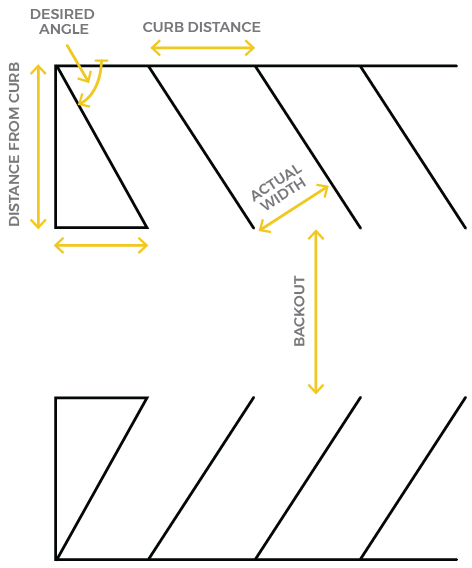 Dimensions of angle parking spaces. 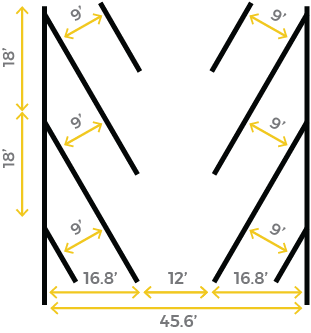 These dimensions are standard for most of the U.S. 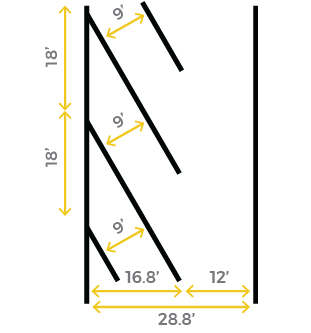 They are designed to yield a parking space that is 9′ x 18′ with adequate room for maneuvering in and out of the space. The Americans with Disabilities Act (ADA) requires all parking lots, regardless of size, to have the proper amount of handicapped-accessible parking stalls. Requirements include handicap blue and white pavement markings as well as metal handicap signs at each handicapped parking stall. 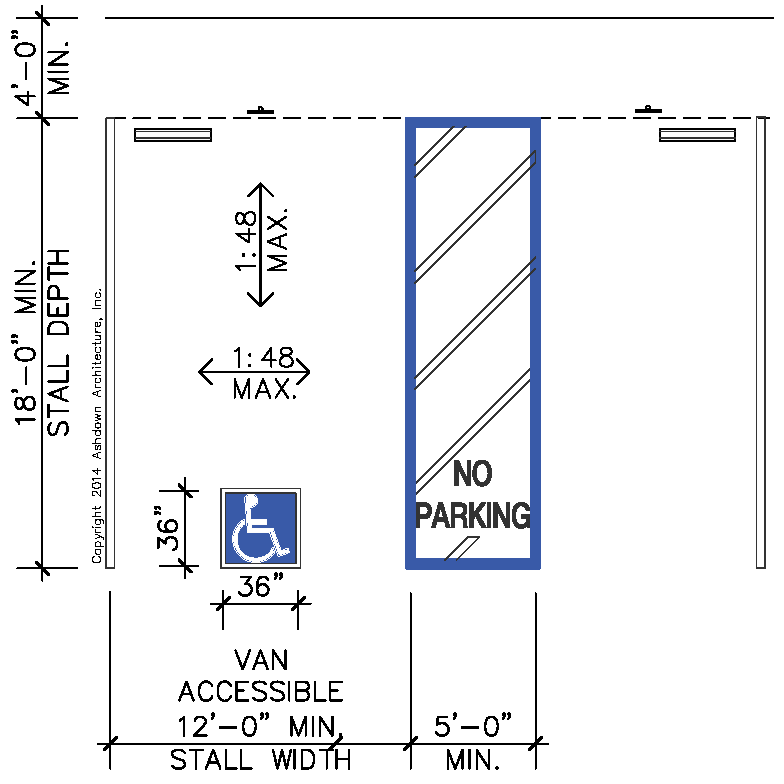 Typical ADA requirements call for one handicapped parking stall per 25 regular parking stalls. To learn more about the requirements for your area check with the ADA web site. Many state and local governments have their own requirements, which may be more specific or more stringent in some ways. Certain zoning laws may require a designated fire lane in front of buildings. 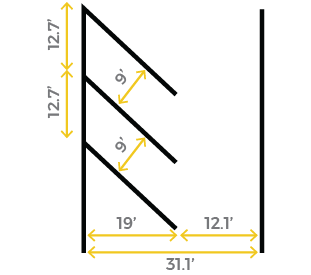 Typically, the words “Fire Lane” will be stenciled on to pavement with traffic paint in the designated area. The curb may also be spray painted with fire lane red traffic paint. 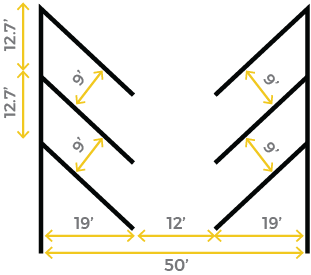 SealMaster has a national network of striping professionals that are available to provide parking lot striping services.